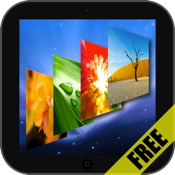 Wallpapers for New iPad includes all kinds of beautiful Wallpapers, specially for New iPad Retina display, and many more every day. ● Lots of categories of beatiful Wallpapers. ● New wallpapers added Daily!